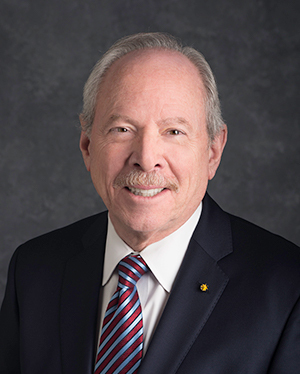 Alan Leshner served as Chief Executive Officer of the American Association for the Advancement of Science and Executive Publisher of the journal Science from December 2001 through February 2015, when he became CEO-Emeritus. AAAS (triple A-S) was founded in 1848 and is the world's largest, multi-disciplinary scientific and engineering society. Before coming to AAAS, Leshner was Director of the National Institute on Drug Abuse (NIDA) from 1994-2001. Before becoming Director of NIDA, Leshner had been the Deputy Director and Acting Director of the National Institute of Mental Health. He went to NIMH from the National Science Foundation (NSF), where he held a variety of senior positions, focusing on basic research in the biological, behavioral and social sciences, science policy and science education. Leshner went to NSF after 10 years at Bucknell University, where he was Professor of Psychology. He has also held long-term appointments at the Wisconsin Regional Primate Research Center; and as a Fulbright Scholar at the Weizmann Institute of Science in Israel. Leshner is the author of a textbook on the relationship between hormones and behavior, and has published extensively for both the scientific and lay communities on the biology of behavior, science and technology policy, science education, and public engagement with science. Leshner received an undergraduate degree in psychology from Franklin and Marshall College, and M.S. and Ph.D. degrees in physiological psychology from Rutgers University. He also has been awarded seven honorary Doctor of Science degrees. Leshner is an elected fellow of AAAS, the National Academy of Public Administration, the American Academy of Arts and Sciences, and many other professional societies. He is a member of the National Academy of Medicine (formerly the Institute of Medicine) of the National Academies of Sciences, Engineering and Medicine, and served two terms on its governing Council. He was appointed to the National Science Board by President Bush in 2004 and reappointed by President Obama in 2010. Dr. Leshner joined the Society's Board of Trustees in 2009.